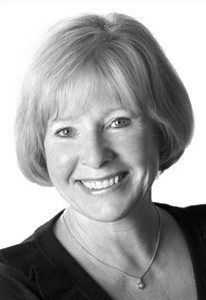 Lynne Venner - Whistler Real Estate Ltd.
Lynne moved Whistler in 1993 pursuing a career in real estate after many years of nursing in Northern BC. A mother of 4 ski racing children and wife of a National Alpine Ski Team Coach, Whistler was the place to be! Lynne now has 10 grandchildren living in the Sea to Sky Corridor all loving the “Magic of Whistler” with her. Lynne truly enjoys meeting people from all around the world and has the perfect balance of her real estate profession and lifestyle – “when you love what you do, it shows”. Lynne’s success in real estate has rewarded her with the Platinum Award of Excellence. She has consistently been ranked one of The Whistler Real Estate Company’s top selling Realtors® and is always on top of current market conditions. Lynne prides herself in finding her clients the perfect home or investment property and takes care of every detail from beginning to end. Her commitment to providing first class service and delivering results to her clients, from locals to international buyers and sellers, has made her successful with 80% of her business coming from repeat and client referrals. As an active member of the community for 22 years, Lynne has volunteered with Whistler and Pemberton Community Services lending a hand to help those in need. Lynne and her daughter Tracey Cruz, a Licensed Real Estate Assistant, have have been working together since 1996 providing exceptional service to their clients. They are a Dynamic Duo who are professional, compassionate and committed to giving their clients award winning service above and beyond their expectations!